10+ Stunning Haath-phools that you should definitely consider for your mehndi or haldi ceremony! 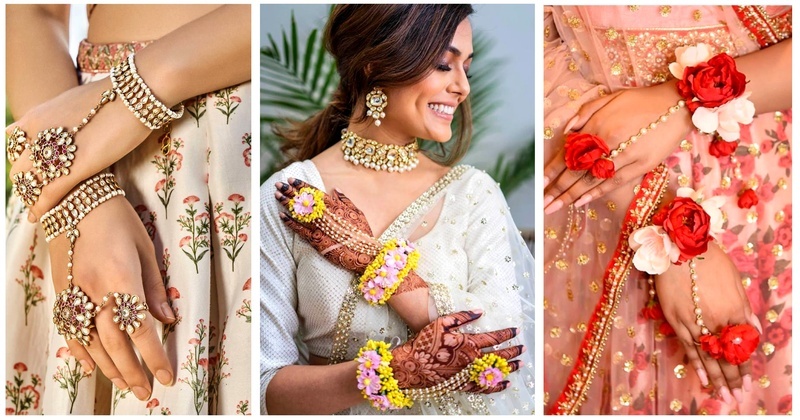 Indian weddings are all about the bride, whether you are a modern bride or a traditional one, jewellery does play an important role in making or breaking your bridal look! And whatever look you are planning, your mehndi and haldi ceremony won’t do-away without some gorgeous haath-phools. After all, they do make your hands pop and make them look even more gorgeous with your bridal mehndi! Stunning aren't they? So, go ahead and pick one which totally screams your style!